There is a lot of business support available for you to access. Whether you are looking for advice, research, product development or funding there is likely to be someone who can help. We have listed some of the key organisations who can help below. Scottish Enterprise is here to help Scottish tourism businesses grow, and make the most of opportunities like Homecoming 2014, the Ryder Cup, and the Glasgow Commonwealth Games. 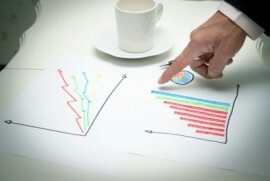 Business Gateway offers expert support and guidance to new and existing businesses. The City of Edinburgh Council offers business support and information as well as information on council services provided throughout the city. VisitScotland.org is the corporate site for Scotland’s national tourism organisation, and offers products and services to help you reach your target markets and resources to help you improve your business. Marketing Edinburgh promote the Edinburgh city-region as a leading leisure, learning and business destination for domestic and international visitors, enhance the national and international reputation of the city-region and promote sustainable economic development and growth. Essential Edinburgh aims to ensure that Edinburgh city centre excels as a place to work, a place to do business, a place to shop and a place to visit. Festivals Edinburgh is a strategic umbrella organisation focussed on over-arching areas of mutual interest. Its sole focus is to maintain the Festivals’ and the Festival City’s global competitive edge, via major collaborative projects and strategic initiatives. The Federation of Small Businesses (FSB) in Scotland represents the interests of around 19,000 Scottish members. The FSB in the East of Scotland works hard to continue to be the largest and most effective local Business Association representing SME interests. Edinburgh Chamber of Commerce is a dynamic member-led organisation, working to support the local business community and specifically our strong network of member businesses. 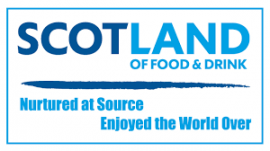 Scotland Food & Drink is the leadership organisation working to grow the value of the industry and build Scotland’s reputation as a Land of Food and Drink.